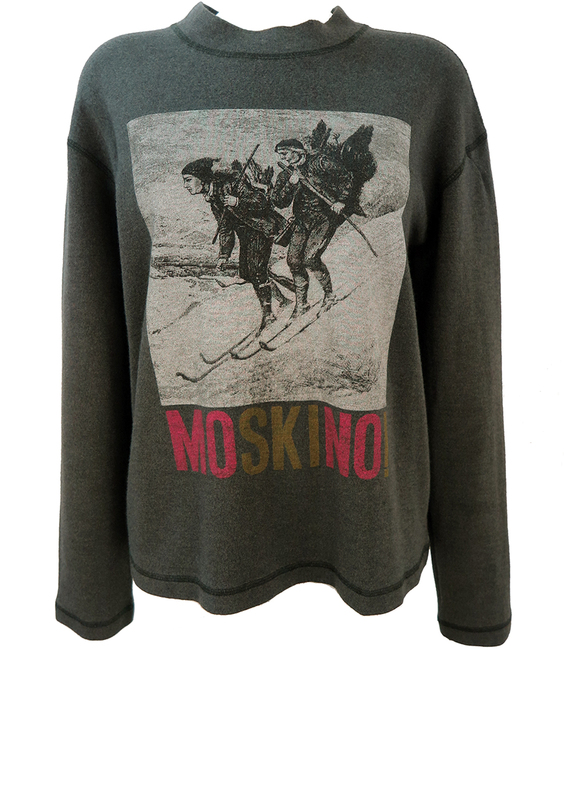 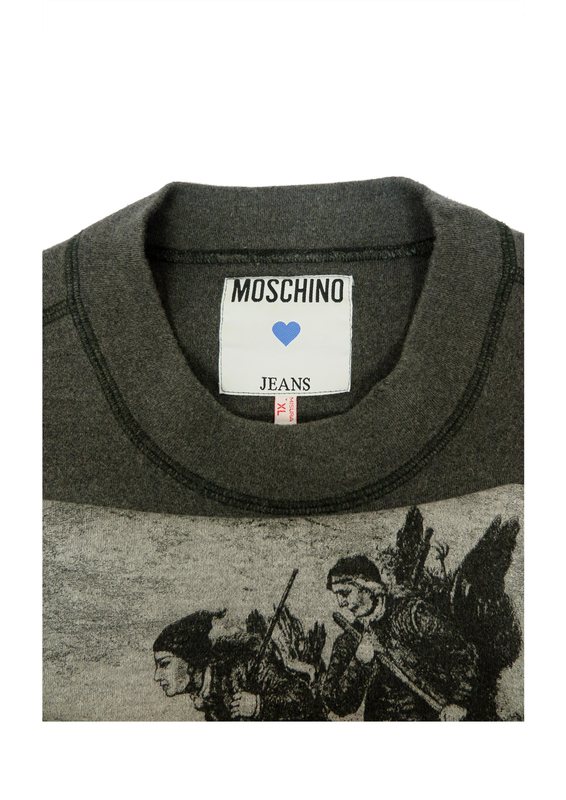 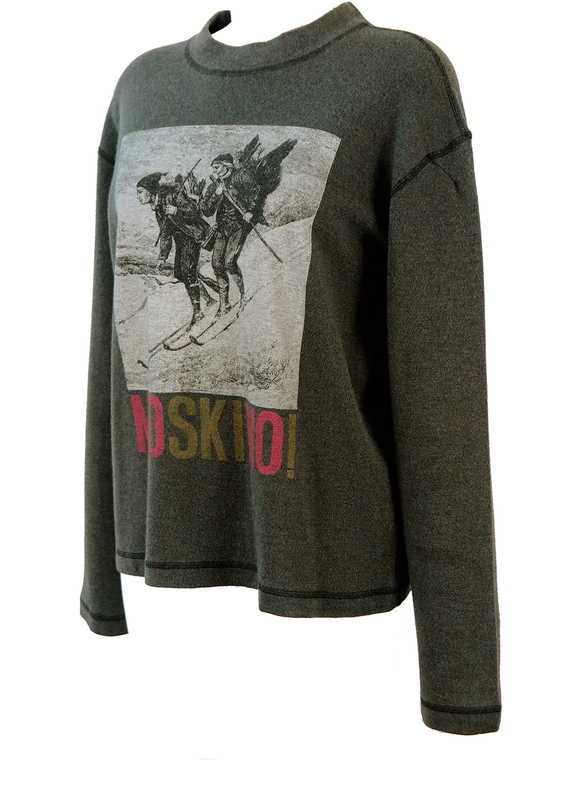 Moschino Jeans grey sweatshirt style top featuring an atmospheric gothic style image of skiers in grey and black beneath which sits a contemporary play on words – Moskino! 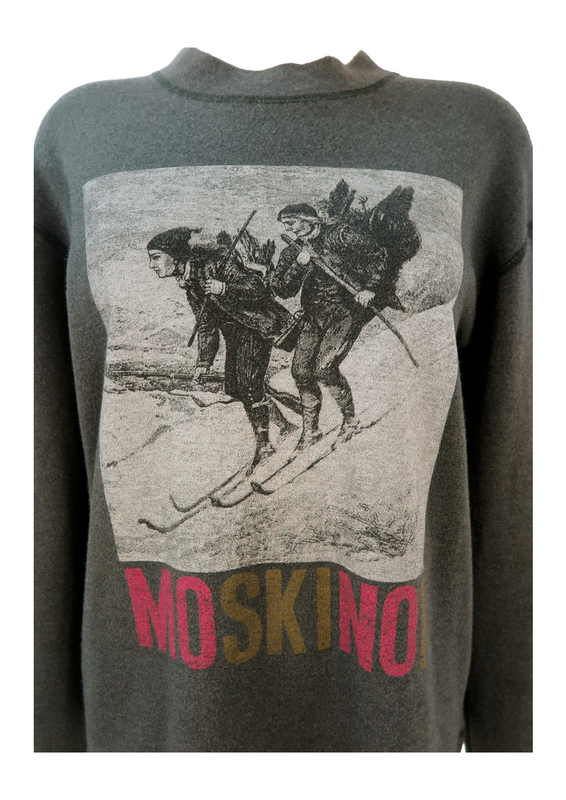 – in pink and ochre. 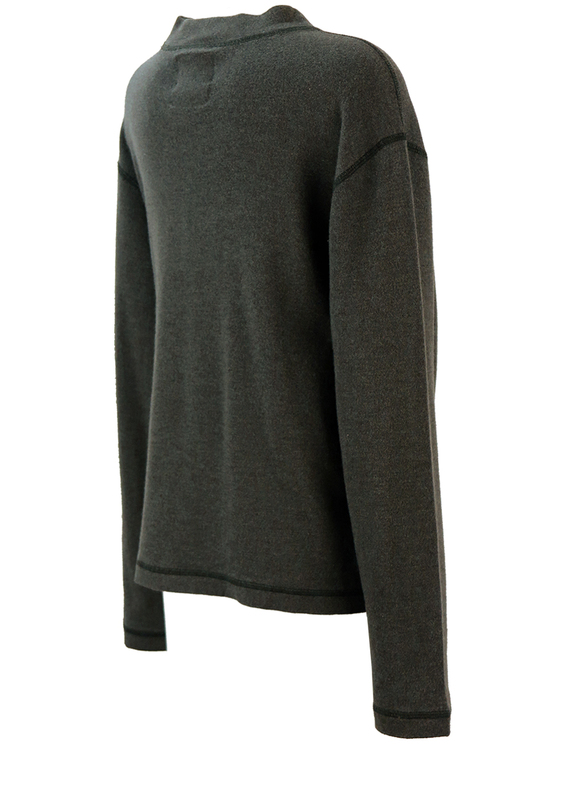 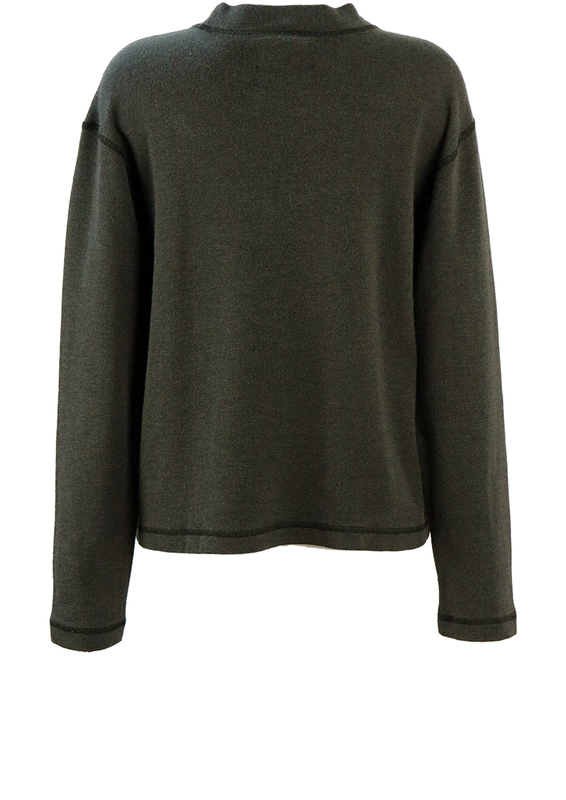 The top is 80% wool and has a size label of XL which we have equated to a size L for a relatively loose, casual fit. 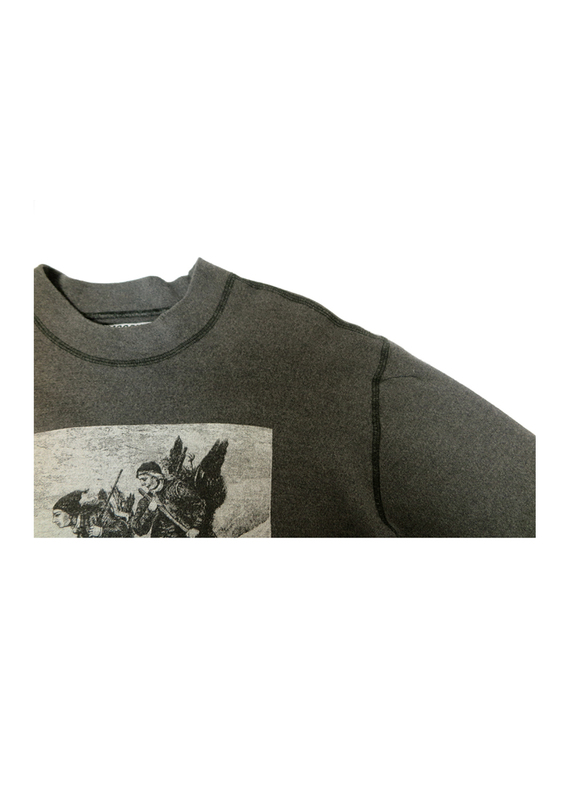 There is a repair to the upper half of the left sleeve near the shoulder seam which has been neatly done – as seen in our first image. 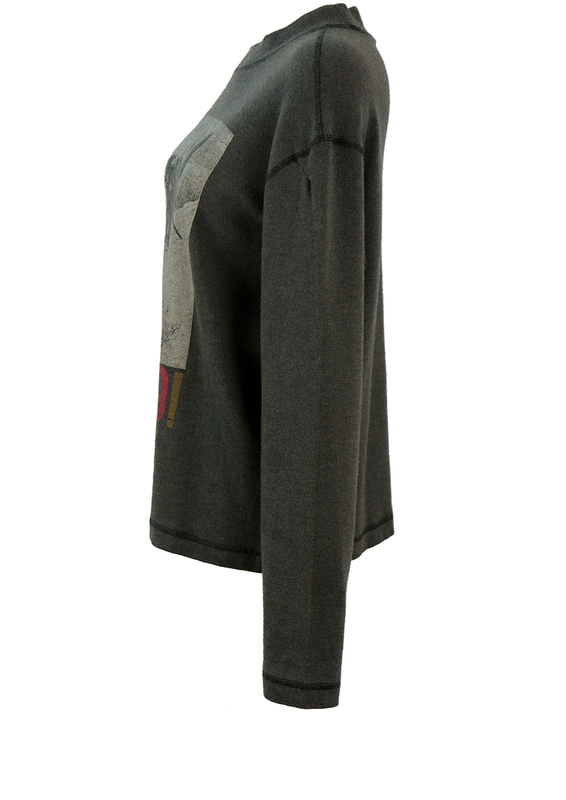 We have however reduced the price from £60 – £45 to allow for this. 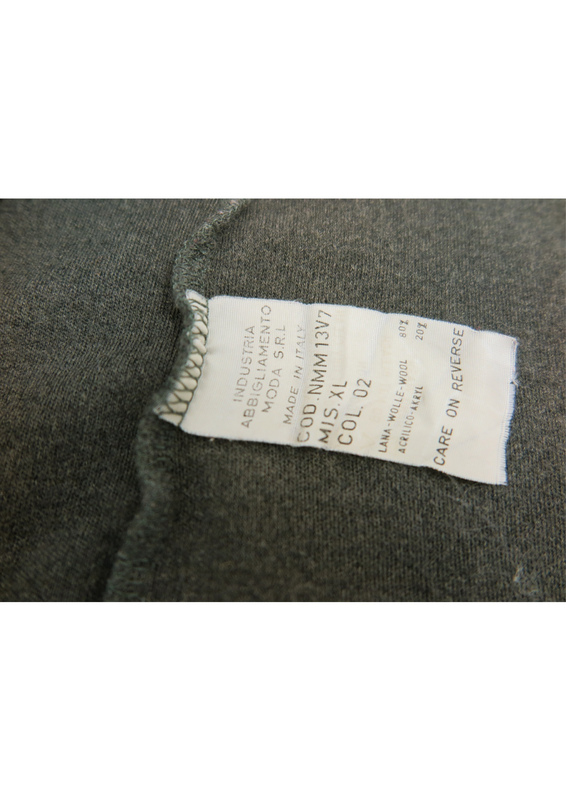 The top is otherwise in excellent condition.